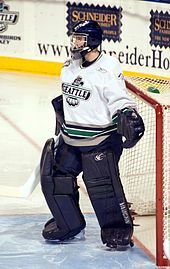 Calvin Pickard of the Seattle Thunderbirds (WHL) was the top-rated North American goalie. Source: NHL Central Scouting Bureau final rankings. Taylor Hall was selected first overall by the Edmonton Oilers. Tyler Seguin was selected second overall by the Boston Bruins with the pick they acquired from the Toronto Maple Leafs. Cam Fowler was selected 12th overall by the Anaheim Ducks. 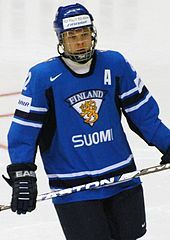 Mikael Granlund was selected ninth overall by the Minnesota Wild. Jaden Schwartz was selected 14th overall by the St. Louis Blues. Vladimir Tarasenko was selected 16th overall by the St. Louis Blues. The Calgary Flames' first-round pick went to the Phoenix Coyotes as the result of a trade on March 4, 2009 that sent Olli Jokinen and Phoenix's third-round pick in 2009 to Calgary for Matthew Lombardi, Brandon Prust and this pick (being conditional at the time of the trade). The condition – Calgary had the option to give their first-round pick to Phoenix either in 2009 or 2010 – was converted on June 1, 2009 when Calgary decided to keep their first-round pick in 2009. The Boston Bruins' first-round pick went to the Los Angeles Kings as the result of a trade on June 25, 2010 that sent Los Angeles' first-round pick (19th overall) and Philadelphia's second-round pick (59th overall) both in 2010 to Florida in exchange for this pick. Florida previously acquired the pick as the result of a trade on June 22, 2010 that sent Nathan Horton and Gregory Campbell to Boston in exchange for Dennis Wideman, Boston's third-round pick in 2011 and this pick. The Ottawa Senators' first-round pick went to the St. Louis Blues as the result of a trade on June 25, 2010 that sent David Rundblad to Ottawa in exchange for this pick. The Los Angeles Kings' first-round pick went to the Florida Panthers as the result of a trade on June 25, 2010 that sent Boston's first-round pick in 2010 (15th overall) to Los Angeles in exchange for Philadelphia's second-round pick in 2010 (59th overall) and this pick. The Phoenix Coyotes' first-round pick went to the Montreal Canadiens as the result of a trade on June 25, 2010 that sent Montreal's first and second-round picks both in 2010 (27th and 57th overall) to Phoenix in exchange for Buffalo's fourth-round pick in 2010 (113th overall) and this pick. The New Jersey Devils' first-round pick went to the Chicago Blackhawks as the result of a trade on June 24, 2010 that sent Dustin Byfuglien, Ben Eager, Brent Sopel and Akim Aliu to Atlanta in exchange for Marty Reasoner, Joey Crabb, Jeremy Morin, New Jersey's second-round pick in 2010 and this pick. Atlanta previously acquired the pick as the result of a trade on February 4, 2010 that sent Ilya Kovalchuk, Anssi Salmela and Atlanta's second-round pick in 2010 to New Jersey in exchange for Niclas Bergfors, Johnny Oduya, Patrice Cormier, New Jersey's second-round pick in 2010 and this pick. The Vancouver Canucks' first-round pick went to the Florida Panthers as the result of a trade on June 25, 2010 that sent Keith Ballard and Victor Oreskovich to Vancouver in exchange for Steve Bernier, Michael Grabner and this pick. The Montreal Canadiens' first-round pick went to the Phoenix Coyotes as the result of a trade on June 25, 2010 that sent Phoenix's first-round pick and Buffalo's fourth-round pick both in 2010 (22nd and 113th overall) to Montreal in exchange for Montreal's second-round pick in 2010 (57th overall) and this pick. The Philadelphia Flyers' first-round pick went to the Anaheim Ducks as the result of a trade on June 26, 2009 that sent Chris Pronger and Ryan Dingle to Philadelphia in exchange for Joffrey Lupul, Luca Sbisa, Philadelphia's first-round pick in 2009, a conditional third-round pick in either 2010 or 2011 and this pick. The Chicago Blackhawks' first-round pick went to the New York Islanders as the result of a trade on June 25, 2010 that sent the Islanders and San Jose's second round picks in 2010 (35th and 58th overall) to Chicago in exchange for this pick. The Toronto Maple Leafs' second-round pick went to the Boston Bruins as the result of a trade on September 18, 2009 that sent Phil Kessel to Toronto in exchange for Toronto's first-round picks in 2010 and 2011 and this pick. Toronto previously re-acquired their own second-round pick as the result of a trade on September 5, 2009 that sent Calgary's second-round pick in 2011 and Toronto's own third-round pick in 2011 to Chicago in exchange for this pick. Chicago previously acquired the pick as the result of a trade on September 12, 2008 that sent Robert Lang to Montreal in exchange for this pick. Montreal previously acquired the pick as the result of a trade on July 3, 2008 that sent Mikhail Grabovski to Toronto in exchange for Greg Pateryn and this pick. The New York Islanders' second-round pick went to the Chicago Blackhawks as the result of a trade on June 25, 2010 that sent Chicago's first-round pick in 2010 (30th overall) to New York in exchange for San Jose's second-round pick in 2010 (58th overall) and this pick. The Tampa Bay Lightning's second-round pick went to the Florida Panthers as the result of a trade on March 3, 2010 that sent Dennis Seidenberg and Matt Bartkowski to Boston in exchange for Craig Weller, Byron Bitz and this pick. Boston previously acquired the pick as the result of a trade on March 4, 2009 that sent Matt Lashoff and Martins Karsums to Tampa Bay in exchange for Mark Recchi and this pick. The Atlanta Thrashers' second-round pick went to the New Jersey Devils as the result of a trade on February 4, 2010 that sent Niclas Bergfors, Johnny Oduya, Patrice Cormier, New Jersey's first and second-round picks in 2010 to Atlanta in exchange for Ilya Kovalchuk, Anssi Salmela and this pick. The Calgary Flames' second-round pick went to the Toronto Maple Leafs as the result of a trade on June 26, 2010 that sent Jimmy Hayes to Chicago in exchange for this pick. Chicago previously acquired the pick as the result of a trade on July 1, 2008 that sent Rene Bourque to Calgary in exchange for this pick (being conditional at the time of the trade). The condition – Calgary chooses to trade a pick in either 2009 or 2010 – was converted on March 4, 2009 when Calgary traded their second-round pick in 2009 to Colorado. The Ottawa Senators' second-round pick went to the Edmonton Oilers as the result of a trade on June 26, 2010 that sent the rights to Riley Nash to the Carolina Hurricanes in exchange for this pick. Carolina previously acquired the pick as the result of a trade on February 12, 2010 that sent Matt Cullen to Ottawa in exchange for Alexandre Picard and this pick. The Colorado Avalanche's second-round pick went to the Los Angeles Kings as the result of a trade on June 26, 2010 that sent Los Angeles' second and fourth-round picks in 2010 (49th and 109th overall) to Colorado in exchange for this pick. The Nashville Predators' second-round pick went to the Edmonton Oilers as the result of a trade on March 1, 2010 that sent Denis Grebeshkov to Nashville in exchange for this pick. The Los Angeles Kings' second-round pick went to the Colorado Avalanche as the result of a trade on June 26, 2010 that sent Colorado's second-round pick in 2010 (47th overall) to Los Angeles in exchange for the Kings' fourth-round pick in 2010 (109th overall) and this pick. The Pittsburgh Penguins' second-round pick went to the Florida Panthers as the result of a trade on March 1, 2010 that sent Jordan Leopold to Pittsburgh in exchange for this pick. The Buffalo Sabres' second-round pick went to the Carolina Hurricanes as the result of a trade on February 7, 2010 that sent Niclas Wallin and Carolina's fifth-round pick in 2010 to San Jose in exchange for this pick. San Jose previously acquired the pick as the result of a trade on July 4, 2008 that sent Craig Rivet and San Jose's seventh-round pick in 2010 to Buffalo in exchange for Buffalo's second-round pick in 2009 and this pick. The New Jersey Devils' second-round pick went to the Chicago Blackhawks as the result of a trade on June 24, 2010 that sent Dustin Byfuglien, Ben Eager, Brent Sopel and Akim Aliu to Atlanta in exchange for Marty Reasoner, Joey Crabb, Jeremy Morin, New Jersey's first-round pick in 2010 and this pick. Atlanta previously acquired this pick as the result of a trade on February 4, 2010 that sent Ilya Kovalchuk, Anssi Salmela and Atlanta's second-round pick in 2010 to New Jersey in exchange for Niclas Bergfors, Johnny Oduya, Patrice Cormier, New Jersey's first-round pick in 2010 and this pick. The Vancouver Canucks' second-round pick went to the Columbus Blue Jackets as the result of a trade on March 3, 2010 that sent Raffi Torres to Buffalo in exchange for Nathan Paetsch and this pick. Buffalo previously acquired the pick as the result of a trade on July 4, 2008 that sent Steve Bernier to Vancouver in exchange for Los Angeles' third-round pick in 2009 and this pick. The Washington Capitals' second-round pick went to the Minnesota Wild as the result of a trade on March 3, 2010 that sent Eric Belanger to Washington in exchange for this pick. The Montreal Canadiens' second-round pick went to the Phoenix Coyotes as the result of a trade on June 25, 2010 that sent Phoenix's first-round pick and Buffalo's fourth-round pick both in 2010 (22nd and 113th overall) to Montreal in exchange for Montreal's first-round pick in 2010 (27th overall) and this pick. The San Jose Sharks' second-round pick went to the Chicago Blackhawks as the result of a trade on June 25, 2010 that sent Chicago's first-round pick in 2010 (30th overall) to the New York Islanders in exchange for the Islanders' second-round pick in 2010 (35th overall) and this pick. 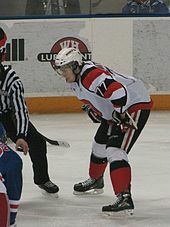 The Islanders previously acquired the pick as the result of a trade on March 2, 2010 that sent Andy Sutton to Ottawa in exchange for this pick. Ottawa previously acquired the pick in a trade on September 12, 2009 that sent Dany Heatley and Ottawa's fifth-round pick in 2010 to San Jose in exchange for Milan Michalek, Jonathan Cheechoo and this pick. The Philadelphia Flyers' second-round pick went to the Minnesota Wild as the result of a trade on June 26, 2010 that send Minnesota's third and fourth-round picks both in 2010 (69th and 99th overall) to Florida in exchange for this pick. Florida previously acquired the pick as the result of a trade on June 25, 2010 that sent Boston's first-round pick in 2010 (15th overall) to Los Angeles in exchange for the Kings' first-round pick in 2010 (19th overall) and this pick. Los Angeles previously acquired the pick as the result of a trade on July 1, 2008 that sent Patrik Hersley and Ned Lukacevic to Philadelphia in exchange for Denis Gauthier and this pick. 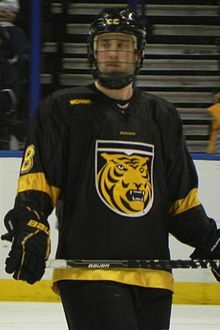 The Florida Panthers' third-round pick went to the Tampa Bay Lightning as the result of a trade on March 3, 2010 that sent Jeff Halpern to the Los Angeles Kings in exchange for Teddy Purcell and this pick. Los Angeles previously acquired the pick as the result of a trade on June 27, 2009 that sent a fourth-round pick (#107 overall) in 2009 and a fifth-round pick (#138 overall) in 2009 to Florida in exchange for this pick. The Columbus Blue Jackets' third-round pick went to the Calgary Flames as the result of a trade on September 28, 2009 that sent Anton Stralman to Columbus in exchange for this pick. The Atlanta Thrashers' third-round pick went to the Buffalo Sabres as the result of a trade on March 3, 2010 that sent Clarke MacArthur to Atlanta in exchange for a fourth-round pick in 2010 and this pick. The Minnesota Wild's third round pick went to the Florida Panthers as the result of a trade on June 26, 2010 that send a second-round pick (59th overall) to Minnesota in exchange for a fourth-round pick (99th overall) and this pick. The New York Rangers' third-round pick went to the Los Angeles Kings as the result of a trade on June 27, 2009 that sent Brian Boyle to New York in exchange for this pick. The Dallas Stars' third-round pick (71st overall) went to the Colorado Avalanche as the result of a trade on June 26, 2010 that sent a third-round pick (77th overall) and a fourth-round pick (109th overall) to Dallas. The Anaheim Ducks' third-round pick went to the Tampa Bay Lightning as the result of a trade on August 13, 2009 that sent Evgeny Artyukhin to Anaheim in exchange for Drew Miller and this pick. The Boston Bruins' third-round pick went to the Buffalo Sabres as the result of a trade on October 20, 2009 that sent Daniel Paille to Boston in exchange for a conditional fourth-round pick in 2010 and this pick. The Colorado Avalanche's third-round pick went to the Dallas Stars as the result of a trade on June 26, 2010 that send a third-round pick (71st overall) to Colorado in exchange for a fourth-round pick (109th overall) and this pick. The Los Angeles Kings' third-round pick went to the Toronto Maple Leafs as the result of a trade on June 26, 2010 that send a third-round pick in 2012 to Los Angeles in exchange for this pick. The Phoenix Coyotes' third-round pick went to the New York Islanders as the result of a trade on June 27, 2009 that sent a third-round pick (#62 overall) in 2009 to Phoenix in exchange for this pick. The Vancouver Canucks' third-round pick went to the Carolina Hurricanes as the result of a March 3, 2010 trade that sent Andrew Alberts to the Canucks in exchange for this pick. The Montreal Canadiens' third-round pick went to the Atlanta Thrashers as the result of a trade on February 16, 2009 that sent Mathieu Schneider to Montreal in exchange for a second-round pick in 2009 and this pick. The Toronto Maple Leafs' fourth-round pick went to the Florida Panthers as the result of a trade on September 2, 2008 that sent Mike Van Ryn to Toronto in exchange for Bryan McCabe and this pick. The New York Islanders' fourth-round pick went to the Colorado Avalanche as the result of a trade on June 26, 2010 that send a third-round pick in 2011 to Colorado in exchange for this pick. The Carolina Hurricanes' fourth-round pick went to the Boston Bruins as the result of a trade on July 24, 2009 that sent Aaron Ward to Carolina in exchange for Patrick Eaves and this pick. The Atlanta Thrashers' fourth-round pick went to the Buffalo Sabres as the result of a trade on March 3, 2010 that sent Clarke MacArthur to Atlanta in exchange for a third-round pick in 2010 and this pick. The Minnesota Wild's fourth-round pick went to the Florida Panthers as the result of a trade on June 26, 2010 that send a second-round pick (59th overall) to Minnesota in exchange for a third-round pick (69th overall) and this pick. The Dallas Stars' fourth-round pick went to the Atlanta Thrashers as the result of a trade on February 9, 2010 that sent Kari Lehtonen to Dallas in exchange for Ivan Vishnevskiy and this pick. The Anaheim Ducks' fourth-round pick went to the Columbus Blue Jackets as the result of a trade on July 15, 2008 that sent Joakim Lindstrom to Anaheim in exchange for this pick (being conditional at the time of the trade). 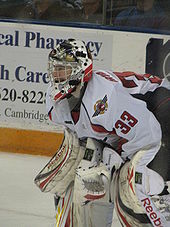 The condition – Lindstrom appears in more than 40 regular season or 15 playoff games with Anaheim or another team during the 2008–09 season – was converted on April 1, 2009. The Boston Bruins' fourth-round pick went to the Carolina Hurricanes as the result of a trade on March 3, 2010 that sent Aaron Ward to Anaheim in exchange for Justin Pogge and this pick (being conditional at the time of the trade). The condition – Boston does not trade this pick prior to the draft – was converted. Anaheim previously acquired this pick as the result of a trade on March 2, 2010 that sent Steven Kampfer to Boston in exchange for this conditional pick. The Nashville Predators' fourth-round pick went to the Calgary Flames as the result of a trade on March 3, 2010 that sent Dustin Boyd to the Predators in exchange for this pick. The Los Angeles Kings' fourth-round pick went to the Dallas Stars as the result of a trade on June 26, 2010 that sent a third-round pick (71st overall) to the Colorado Avalanche in exchange for a third-round pick (77th overall) and this pick. Colorado previously acquired the pick as the result of a trade on June 26, 2010 that sent a second-round pick (47th overall) to Los Angeles in exchange for a second-round pick (49th overall) and this pick. The Phoenix Coyotes' fourth-round pick went to the Washington Capitals as the result of a trade on June 26, 2010 that sent a fourth-round pick (116th overall) and a fifth-round pick (146th overall) to the Toronto Maple Leafs in exchange for this pick. Toronto previously acquired the pick as the result of a trade on March 3, 2010 that sent Lee Stempniak to Phoenix in exchange for Matt Jones, the Coyotes' seventh-round pick in 2010, and this pick. The Buffalo Sabres' first-round pick went to the Montreal Canadiens as the result of a trade on June 25, 2010 that sent a first-round pick (27th overall) and a second-round pick (57th overall) to the Phoenix Coyotes in exchange for a first-round pick (22nd overall) and this pick. Phoenix previously acquired this pick as the result of a trade on March 4, 2009 that sent Mikael Tellqvist to Buffalo in exchange for this pick. The Washington Capitals' fourth-round pick went to the Toronto Maple Leafs as the result of a trade on June 26, 2010 that sent a fourth-round pick (112th overall) to Washington in exchange for a fifth-round pick (146th overall) and this pick. The San Jose Sharks' fourth-round pick went to the Tampa Bay Lightning as the result of a trade on July 4, 2008 that sent Dan Boyle and Brad Lukowich to San Jose in exchange for Matt Carle, Ty Wishart, a first-round pick in 2009 and this pick. The Toronto Maple Leafs' fifth-round pick went to the Anaheim Ducks as the result of a trade on June 26, 2010 that sent Mike Brown to Toronto in exchange for this pick. The Tampa Bay Lightning's fifth-round pick went to the Nashville Predators as the result of a trade on June 27, 2009 that sent a fifth-round pick (#148 overall) in 2009 to Tampa Bay in exchange for this pick. The Carolina Hurricanes' fifth-round pick went to the San Jose Sharks as the result of a trade on February 7, 2010 that sent Buffalo's second-round pick in 2010 to Carolina in exchange for Niclas Wallin and this pick. The Minnesota Wild's fifth-round pick went to the San Jose Sharks as the result of a trade on June 21, 2010 that sent Brad Staubitz to Minnesota in exchange for this pick. The Ottawa Senators' fifth-round pick went to the San Jose Sharks as the result of a trade on September 12, 2009 that sent Milan Michalek, Jonathan Cheechoo and a second-round pick in 2010 to Ottawa in exchange for Dany Heatley and this pick. The Los Angeles Kings' fifth-round pick went to the Colorado Avalanche as the result of a trade on July 3, 2009 that sent Ryan Smyth to Los Angeles in exchange for Tom Preissing, Kyle Quincey and this pick. The Nashville Predators' fifth-round pick went to the Phoenix Coyotes as a result of a trade on May 13, 2010 that sent Jared Staal to Carolina in exchange for this pick. Carolina previously acquired this pick as the result of a trade on June 19, 2008 that sent a fifth-round pick in 2009 to Nashville in exchange for Darcy Hordichuk and this pick (being conditional at the time of the trade). 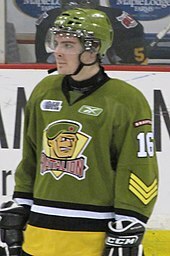 The condition – Hordichuk is not signed by Carolina prior to the 2008–09 season – was converted on July 1, 2008 when the player was signed by the Vancouver Canucks. 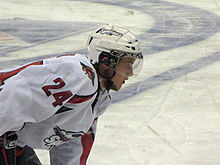 The Phoenix Coyotes' fifth-round pick went to the Washington Capitals as the result of a trade on June 27, 2009 that sent Sami Lepisto to Phoenix in exchange for this pick. The New Jersey Devils' fifth-round pick went to the Toronto Maple Leafs as the result of a trade on March 3, 2010 that sent Martin Skoula to the Devils in exchange for this pick. The Washington Capitals' fifth-round pick went to the Toronto Maple Leafs as the result of a trade on June 26, 2010 that sent a fourth-round pick (112th overall) to Washington in exchange for a fourth-round pick (116th overall) and this pick. The San Jose Sharks' fifth-round pick went to the Los Angeles Kings as the result of a trade on June 21, 2008 that sent a fourth-round pick in 2008 to San Jose in exchange for a fourth-round pick in 2009 and this pick. The Chicago Blackhawks' fifth-round pick went to the Atlanta Thrashers as the result of a trade on June 27, 2009 that sent a sixth-round pick (#177 overall) in 2009 to Chicago in exchange for this pick. 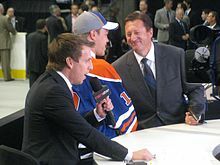 The Edmonton Oilers' sixth-round pick went to the Chicago Blackhawks as the result of a trade on June 24, 2010 that send Colin Fraser to Edmonton in exchange for this pick. The Toronto Maple Leafs' sixth-round pick went to the Pittsburgh Penguins as the result of a trade on March 3, 2010 that sent Chris Peluso to the Maple Leafs in exchange for this pick. The New York Islanders' sixth-round pick went to the Atlanta Thrashers as the result of a trade on June 26, 2010 that sent a fifth-round pick in 2011 to New York in exchange for a sixth-round pick (160th overall) and this pick. The Carolina Hurricanes' sixth-round pick went to the New York Rangers as the result of a trade on June 26, 2010 that sent Bobby Sanguinetti to Carolina in exchange for a second-round pick in 2011 and this pick. The Atlanta Thrashers' sixth-round pick went to the Los Angeles Kings as the result of a trade on June 26, 2010 that sent a sixth-round pick (169th overall) and a seventh-round pick (199th overall) to Los Angeles in exchange for this pick. The New York Rangers' sixth-round pick went to the Atlanta Thrashers as the result of a trade on June 26, 2010 that sent a fifth-round pick in 2011 to the New York Islanders in exchange for a sixth-round pick (155th overall) and this pick. The Islanders previously acquired the pick as the result of a trade on May 25, 2010 that sent Jyri Niemi to the NY Rangers in exchange for this pick. The Dallas Stars' sixth-round pick went to the Anaheim Ducks as the result of a trade on December 14, 2008 that sent Brian Sutherby to Dallas in exchange for David McIntyre and this pick (being conditional at the time of the trade). The converted condition attached to this pick is unknown. The Anaheim Ducks' sixth-round pick went to the Edmonton Oilers as the result of a trade on March 3, 2010 that sent Lubomir Visnovsky to Anaheim in exchange for Ryan Whitney and this pick. The Calgary Flames' sixth-round pick went to the San Jose Sharks as the result of a trade on June 26, 2010 that sent Henrik Karlsson to Calgary in exchange for this pick. The Ottawa Senators' sixth-round pick went to the Edmonton Oilers as the result of a trade on June 27, 2009 that sent a seventh-round pick (#191 overall) in 2009 to Ottawa in exchange for this pick. The Colorado Avalanche's sixth-round pick went to the Carolina Hurricanes as the result of a March 3, 2010 trade that sent Stephane Yelle and Harrison Reed to the Avalanche in exchange for Cedric McNicoll and this pick. The Los Angeles Kings' sixth-round pick went to the Atlanta Thrashers as the result of a trade on June 26, 2010 that sent a sixth-round pick (158th overall) to Los Angeles in exchange for a seventh-round pick (199th overall) and this pick. The Phoenix Coyotes' sixth-round pick went to the Vancouver Canucks as the result of a trade on March 3, 2010 that sent Mathieu Schneider to Phoenix in exchange for Sean Zimmerman and this pick (being conditional at the time of the trade). The condition – Schneider successfully clears re-entry waivers – was converted. The Montreal Canadiens' sixth-round pick went to the Anaheim Ducks as the result of a trade on May 28, 2010 that sent Mattias Modig to Pittsburgh in exchange for this pick. Pittsburgh previously acquired the pick as the result of a trade on June 27, 2009 that sent a seventh-round pick (#211 overall) in 2009 to Montreal in exchange for this pick. 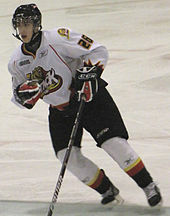 The San Jose Sharks' sixth-round pick went to the Ottawa Senators as the result of a trade on July 8, 2009 that sent Alex Auld to Dallas in exchange for this pick. Dallas previously acquired the pick as the result of a trade on June 27, 2009 that sent a seventh-round pick (#189 overall) in 2009 to San Jose in exchange for this pick. The Atlanta Thrashers' seventh-round pick went to the San Jose Sharks as the result of a trade on June 23, 2010 that sent Michael Vernace, Brett Sterling and this pick to San Jose in exchange for future considerations. The Dallas Stars' seventh-round pick went to the Chicago Blackhawks as the result of a trade on October 8, 2008 that sent Doug Janik to Dallas in exchange for this pick (being conditional at the time of the trade). The converted condition attached to this pick is unknown. The St. Louis Blues' seventh-round pick went to the Nashville Predators as the result of a trade on June 27, 2009 that sent a seventh-round pick (#202 overall) in 2009 to Nashville in exchange for this pick. The Los Angeles Kings' seventh-round pick went to the Atlanta Thrashers as the result of a trade on June 26, 2010 that sent a sixth-round pick (158th overall) to Los Angeles in exchange for a sixth-round pick (169th overall) and this pick. The Pittsburgh Penguins' seventh-round pick went to the San Jose Sharks as the result of a trade on June 26, 2010 that sent a seventh-round pick in 2011 to Pittsburgh in exchange for this pick. The Phoenix Coyotes' seventh-round pick went to the Edmonton Oilers as the result of a trade on June 26, 2010 that sent a sixth-round pick in 2011 to Toronto in exchange for this pick. Toronto previously acquired the pick as the result of a trade on March 3, 2010 that sent Lee Stempniak to Phoenix in exchange for Matt Jones, the Coyotes' fourth-round pick in 2010, and this pick. The Washington Capitals' seventh-round pick went to the Philadelphia Flyers as the result of a trade on June 26, 2010 that sent Jon Matsumoto to Carolina in exchange for this pick. Carolina previously acquired the pick as the result of a trade on March 3, 2010 that sent Scott Walker to Washington in exchange for this pick. The San Jose Sharks' seventh-round pick went to the Buffalo Sabres as the result of a trade on July 4, 2008 that sent second-round picks in 2009 and 2010 to San Jose in exchange for Craig Rivet and this pick. The Chicago Blackhawks' seventh-round pick went to the Boston Bruins as the result of a trade on June 26, 2010 that sent a seventh-round pick in 2011 to Chicago in exchange for this pick. ^ NHL.com (2009-12-04). "NHL Entry Draft to be conducted in Los Angeles". NHL.com. Retrieved 2009-12-04. ^ NHL.com (2010-06-26). "Record-setting night for USA at Entry Draft". NHL.com. Retrieved 20 September 2010. ^ 2010 NHL Draft Prospects, National Hockey League, 7 April 2010, retrieved 7 April 2010 . ^ "North American Skaters Final Rankings" (PDF). April 8, 2010. Retrieved 20 September 2010. ^ "International Skaters Final Rankings" (PDF). April 8, 2010. Retrieved 20 September 2010. ^ "North American Goalies Final Rankings" (PDF). April 8, 2010. Retrieved 20 September 2010. ^ "International Goalies Final Rankings" (PDF). April 8, 2010. Retrieved 20 September 2010. ^ a b "Kessel traded to Maple Leafs". The Sports Network. 18 September 2009. Retrieved 20 September 2010. ^ "Flames acquire Jokinen from Coyotes for Lombardi, draft pick". www.tsn.ca. 4 March 2009. Retrieved 5 March 2009. ^ "Flames keep first round pick". calgaryflames.com. 1 June 2009. Archived from the original on 8 June 2009. Retrieved 14 June 2009. ^ a b c "Kings kick off Draft night dealings". National Hockey League. Retrieved 26 June 2010. ^ "Cats deal Horton, Campbell to B's for Wideman, picks". National Hockey League. Retrieved 22 June 2010. ^ "Draft deal brings Swede addition to Sens defence". Ottawa Senators. Archived from the original on 29 July 2010. Retrieved 26 June 2010. ^ a b c d "Canadiens trade up five spots to grab defenceman Tinordi". TSN.ca. Archived from the original on 29 June 2010. Retrieved 25 June 2010. ^ a b "Hawks deal Byfuglien, Sopel to Thrashers". National Hockey League. Retrieved 23 June 2010. ^ a b c "Kovalchuk traded to Devils". National Hockey League. 4 February 2010. Retrieved 20 September 2010. ^ "Ballard traded to Canucks in five-player swap". National Hockey League. Retrieved 26 June 2010. ^ "Flyers Acquire Pronger, Dingle from Anaheim". Philadelphia Flyers. 26 June 2009. Retrieved 7 April 2010. ^ a b c "Blackhawks acquire two 2010 draft picks from New York Islanders". Chicago Blackhawks. Archived from the original on 3 July 2010. Retrieved 26 June 2010. ^ McKenzie, Bob (5 September 2009). "Are the Maple Leafs paving way for big move?". TSN official website. Retrieved 8 September 2009. ^ "Hawks Trade Lang To Montreal For 2nd Round Pick". Chicago Blackhawks. 12 September 2008. Archived from the original on 16 October 2008. Retrieved 25 June 2009. ^ "Habs acquire D Greg Pateryn". Montreal Canadiens. 3 July 2008. Archived from the original on 19 July 2009. Retrieved 25 June 2009. ^ "Panthers Acquire Bitz, Weller and Second Round Pick From Boston For Dennis Seidenberg". Florida Panthers official website. 3 March 2010. Retrieved 4 March 2010. ^ "B's Acquire Recchi for Lashoff, Karsums". Boston Bruins. 4 March 2009. Archived from the original on 9 March 2009. Retrieved 25 June 2009. ^ a b c d e f g h i j k l "Trades continue on Day 2 of Draft". National Hockey League. Retrieved 26 June 2010. ^ "Flames acquire forward Rene Bourque". Calgary Flames. 1 July 2008. Archived from the original on 10 August 2008. Retrieved 25 June 2009. ^ a b "2009 NHL Entry Draft pick summary". www.nhl.com. 17 February 2009. Retrieved 20 September 2010. ^ "Canes Trade Matt Cullen to Ottawa". Carolina Hurricanes. 12 February 2010. Retrieved 20 September 2010. ^ "Predators acquire Grebeshkov from Oilers". NHL.com. March 1, 2010. Retrieved 20 September 2010. ^ "Penguins Acquire Defenseman Jordan Leopold from the Florida Panthers in Exchange for 2010 Second-Round Draft Pick". Pittsburgh Penguins. 1 March 2010. Archived from the original on 4 March 2010. Retrieved 1 March 2010. ^ a b "Hurricanes deal Wallin to Sharks". National Hockey League official website. 7 February 2010. Retrieved 20 September 2010. ^ a b "Sharks Acquire 2nd Round Picks from Buffalo". San Jose Sharks. 4 July 2008. Archived from the original on 26 July 2009. Retrieved 20 September 2010. ^ "Columbus Blue Jackets Acquire Defenseman Nathan Paetsch, 2010 2nd Round Pick from Buffalo Sabres for Forward Raffi Torres". Columbus Blue Jackets. March 3, 2010. Retrieved 20 September 2010. ^ "Sabres Acquire Pair of Picks From Vancouver". Buffalo Sabres. 4 July 2008. Archived from the original on 26 July 2009. Retrieved 23 June 2009. ^ "Capitals add grit, depth in Walker, Belanger". NHL.com. March 3, 2010. Retrieved 20 September 2010. ^ "Bulletin: Ottawa acquires Andy Sutton from the N.Y. Islanders for a second-round draft pick in 2010". Ottawa Senators. 2 March 2010. Retrieved 2 March 2010. ^ a b "Sens Deal Heatley to Sharks". TSN. 12 September 2009. Archived from the original on 15 September 2009. Retrieved 12 September 2009. ^ "Kings Acquire Jeff Halpern from Tampa Bay". Los Angeles Kings official website. 3 March 2010. Retrieved 4 March 2010. ^ a b c d e f g h i j "Completed trades from Day 2 of the NHL Entry Draft". NHL.com. 27 June 2009. Retrieved 27 June 2009. ^ NHL.com (28 September 2009). "Flames deal Stralman to Columbus". www.nhl.com. Retrieved 28 September 2009. ^ a b "Thrashers Acquire Forward Clarke MacArthur from Buffalo for a Third Round and a Fourth Round Selection in the 2010 NHL Entry Draft". Atlanta Thrashers. March 3, 2010. Retrieved 20 September 2010. ^ a b c d e f g h i j k l m n o "Trades announced at the NHL Entry Draft on Day 2". National Hockey League. Retrieved 27 June 2010. ^ "Ducks Obtain Artyukhin from Lightning". Anaheim Ducks official website. 13 August 2009. Retrieved 8 January 2010. ^ NHL.com (20 October 2009). "Sabres send Paille to Bruins for draft pick". www.nhl.com. Retrieved 21 October 2009. ^ "Hurricanes Trade Andrew Alberts to Vancouver". Carolina Hurricanes. March 3, 2010. Retrieved 20 September 2010. ^ TSN.CA staff (16 February 2009). "Thrashers Trade Defenceman Schneider to Canadiens". www.tsn.ca. Retrieved 3 March 2009. ^ "Florida Acquires Bryan McCabe and Fourth Round Draft Pick in 2010 from Toronto". Florida Panthers. 2 September 2008. Archived from the original on 24 July 2011. Retrieved 25 June 2009. ^ "Canes Re-Acquire Defensemen Aaron Ward". Carolina Hurricanes. 24 July 2009. Retrieved 6 December 2009. ^ "Lehtonen traded to Dallas". NHL. 9 February 2010. Retrieved 9 February 2010. ^ "Columbus Blue Jackets Acquire Conditional Draft Pick from Anaheim Ducks in Exchange for Forward Joakim Lindstrom". Columbus Blue Jackets. 15 July 2008. Archived from the original on 1 August 2008. Retrieved 25 June 2009. ^ a b "Order of selection for the 2010 NHL Entry Draft". National Hockey League. Retrieved 20 September 2010. ^ "Ducks get Lindstrom from Columbus". Orange County Register. 15 July 2008. Retrieved 14 December 2008. ^ "Joakim Lindstrom Stats". National Hockey League. Retrieved 20 September 2010. ^ Kimelman, Adam (3 March 2010). "Ducks acquire Ward for Pogge, pick". www.nhl.com. Retrieved 4 March 2010. ^ "Ducks Acquire Fourth Round Pick for Kampfer". Anaheim Ducks official website. 2 March 2010. Archived from the original on 9 March 2010. Retrieved 2 March 2010. ^ "Preds Acquire Forward Dustin Boyd from Calgary". Nashville Predators. March 3, 2010. Retrieved 20 September 2010. ^ a b "2010 NHL Trade Deadline list of trades-2010 Trade Deadline". NHL. 3 March 2010. Retrieved 3 March 2010. ^ "Coyotes Acquire 4th Round Draft Choice From Buffalo In Exchange For Tellqvist". Phoenix Coyotes. 4 March 2009. Archived from the original on 6 March 2009. Retrieved 25 June 2009. ^ "Lightning Acquire Matt Carle, Ty Wishart From San Jose". Tampa Bay Lightning. 4 July 2008. Archived from the original on 2 August 2009. Retrieved 25 June 2009. ^ "Sharks Acquire Fifth Round Pick". San Jose Sharks. Archived from the original on 25 June 2010. Retrieved 21 June 2010. ^ "Kings Get All-Star Forward Smyth". Los Angeles Kings official website. 3 July 2009. Retrieved 8 January 2010. ^ "Hurricanes acquire youngest Staal brother from Coyotes". The Sports Network. 12 May 2010. Archived from the original on 16 May 2010. Retrieved 13 May 2010. ^ "Preds acquire a fifth-round pick in 2009 Entry Draft for Darcy Hordichuk". Nashville Predators. 19 June 2008. Archived from the original on 2 July 2008. Retrieved 23 June 2009. ^ "Canucks Sign Free Agent Forward Darcy Hordichuk". Vancouver Canucks. 1 July 2008. Archived from the original on 28 September 2008. Retrieved 25 June 2009. ^ "Skoula on the move again – now a Devil". NHL. 3 March 2010. Retrieved 3 March 2010. ^ "Oilers acquire Colin Fraser from Stanley Cup Champions". Edmonton Oilers. Archived from the original on 26 June 2010. Retrieved 24 June 2010. ^ "Penguins Acquire 2010 Sixth-Round Draft Pick From The Toronto Maple Leafs In Exchange For Chris Peluso". Pittsburgh Penguins. March 3, 2010. Retrieved 20 September 2010. ^ "Rangers get blueliner Niemi from Isles". New York Rangers. May 25, 2010. Retrieved 20 September 2010. ^ "Tradelog Detail: Sutherby to Stars". The Hockey News. Retrieved 20 June 2010. ^ "Oilers Acquire Ryan Whitney". Edmonton Oilers. March 3, 2010. Retrieved 20 September 2010. ^ "Avalanche Acquires Stephane Yelle". Colorado Avalanche. March 3, 2010. Retrieved 20 September 2010. ^ "Schneider to Coyotes". www.nhl.com. 3 March 2010. Retrieved 4 March 2010. ^ "Penguins Trade, Agree to Terms with G Mattias Modig to a Two-Year Entry Level Contract". Pittsburgh Penguins. 28 May 2010. Archived from the original on 1 June 2010. Retrieved 30 May 2010. ^ "Senators break goaltending logjam". Ottawa Senators official website. 8 July 2009. Retrieved 8 January 2010. ^ "Thrashers Trade Defenseman Mike Vernace, Forward Brett Sterling and a Seventh Round Selection in the 2010 NHL Entry Draft to San Jose for Future Considerations". Atlanta Thrashers. Retrieved 24 June 2010. ^ "Hawks Claim Janik, Trade To Stars". Chicago Blackhawks. 8 October 2008. Archived from the original on 9 December 2008. Retrieved 25 June 2009. ^ "Future Draft Picks". Chicago Blackhawks. Retrieved 25 June 2009. ^ Morreale, Mike G. (3 March 2010). "Walker adds grit, depth to Capitals". www.nhl.com. Retrieved 4 March 2010.